The power of Totalview is leveraged by your employees‘ everyday avtivities. Whether it is signing in for work in the morning, forwarding a business call or registering hours for project work – it all starts with one click. 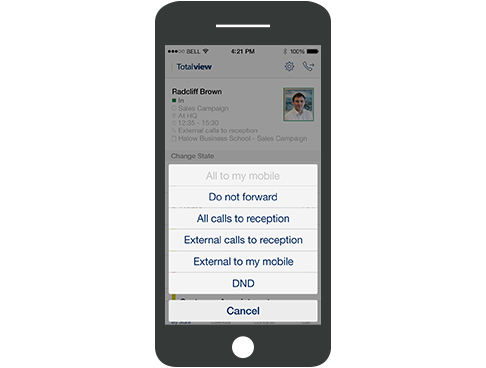 At any time, from anywhere, your employee can change his availability status, minimizing interruptions from customers and colleagues. When busy or away, incoming calls to an employee can be redirected to the front desk, a mobile phone, or even to a custom phone number. 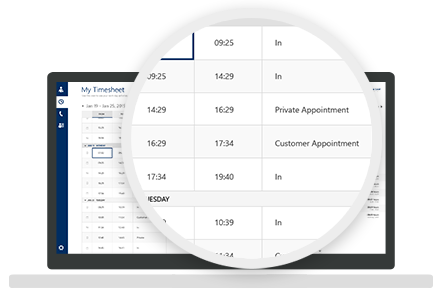 As your employee registers his status while working on projects, his hours get automatically recorded in his timesheet. 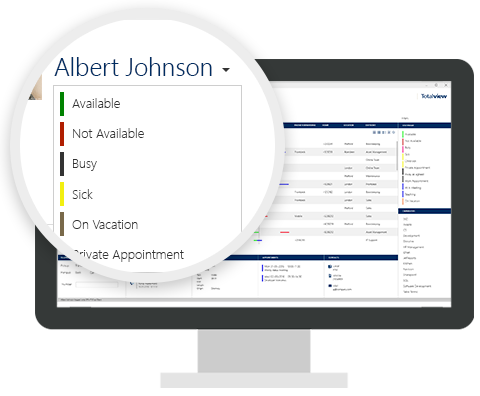 All information around employees is centrally stored and can be easily accessed from your browser, giving you detailed insight into working hours of staff members, vacation patterns and levels of call service. Instead of guessing, you know precisely what each hour in your company is spent on and can optimize your organizational processes accordingly.